Martempering involves austenitisation followed by step quenching, at a rate fast enough to avoid the formation of ferrite, pearlite or bainite. Soaking must be long enough to avoid the formation of bainite. The advantage of martempering is the reduction of thermal stresses compared to normal quenching. This prevents cracking and minimises distortion. Martempering is used to produce martensite without developing the high stresses that usually accompany its formation. It is similar to conventional hardening except that distortion is minimized - the process is frequently used on Titanium components. Annealing puts the material into a soft condition to enable easier machining. A fully annealed steel is heated to just above the austenitic temperature then slowly cooled in a controlled manner to maintain an equilibrium microstructure. Annealing is carried out under a controlled atmosphere to avoid surface oxide scale or decarburising. Normalising is a similar process to full Annealing except parts are cooled naturally in air from the austenitic temperature. Stainitec is a Low Temperature Nitriding process applied to Austenitic Stainless Steels. 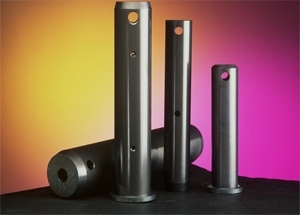 It is important to note that the corrosion resistance of stainless steels is dramatically reduced, where nitrided, when using conventional nitriding techniques such as Plasma Nitriding or Salt Bath Nitriding. Using the Stainitec process corrosion resistance can be maintained or even enhanced as well as providing a hard wear resistant surface to the steel. Common materials treated are 316, 304 and A286. Salt Bath Hardening can offer advantages over alternative hardening and tempering methods. Molten salt is often considered the ‘ideal’ heat treating medium. When parts are immersed in the molten salt, heat is transferred by direct contact to the surface. Since the parts are immersed in the Salt Bath, air cannot contact the work piece and scaling, oxidation and decarburisation are avoided. Heat transfer into components is very rapid - much faster than with radiation or convection methods. Additionally, the uniform rate of heat transfer permits components having complex geometries and diverse cross-sections to be heat treated and quenched with minimal distortion. 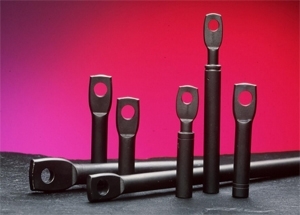 Salt Bath Hardening is ideal for Tool Steels.